Choosing the right dose for the right patient – using pharmacology knowledge and methods (eg measuring levels of drug in the blood) to ensure the dose is individualised. This is particularly important for cancer therapies and antimicrobials but is important for all therapeutic areas. Deprescribing medicines – that is, reducing the dose or stopping medicines that are unlikely to benefit particular groups of people. These include groups for which there is no evidence of benefit and for whom the side effects are unlikely to be tolerated. People over the age of 80 or at the end of life are particular areas of interest. Medicinal cannabis research – to examine if the use of pharmacological grade cannabis in people at end of life relieves troublesome symptoms without causing troublesome side effects. Investigations into the constituents of synthetic drugs of abuse such as synthetic cannabinoids to improve knowledge to treat these patients. In my last year of medical school more than 20 years ago - we noted a lot of children were coming into hospital with an illness from a common antibiotic and found that indeed it was true - the antibiotic did cause the illness. So I often wonder if someone is sick because their medications have been used inappropriately for them. Many new drugs, including 'targeted' therapies for cancer, have side effects that can ​outweigh their benefits. In some patients, reactions to therapies have mimicked new diseases requiring further treatment with more adverse effects. All of this incurs a huge cost on both patients and society. My goal is to use the drugs we already have properly. This improves health and also saves health wastage directly due to using older off-patent therapies, but also indirectly saves money by reducing the side effects we see in people for no drug benefit. Of the thousands and thousands of chemicals that are useful in medicine and health, very few have been studied to their full potential - it's possible we already have all the drugs we need to cure almost everything including many cancers. What we don't have is an understanding of how the drugs work in a particular patient and how this might be affected if, for example, the person is elderly, or indigenous, or has radiotherapy at the same time as the chemotherapy. For this we need to integrate clinical pharmacology with human biology and biochemistry, and use our knowledge of chemistry to design an array of therapies and drug delivery modes to benefit individual people. To improve the way medicines are used in the community - to get the right drug. the right dose and use it for the correct time for the correct disease. This will improve treatment globally. It will also reduce side effects and will reduce things like antimicrobial resistance and drug wastage. Professor Martin is a dual-trained clinical pharmacologist and practicing general physician, serving as Chair of Clinical Pharmacology in the School of Medicine and Public Health at the University of Newcastle. She has studied politics and health economics at Oxford University as a Rhodes Scholar and has used this experience to serve on the Pharmaceutical Benefits Advisory Committee, the Economic Subcommittee of the PBAC and other government and state-wide committees examining appropriate allocation, regulation, safety and efficacy in pharmaceuticals. She is a Member of the Australian Institute of Company Directors (Diploma). 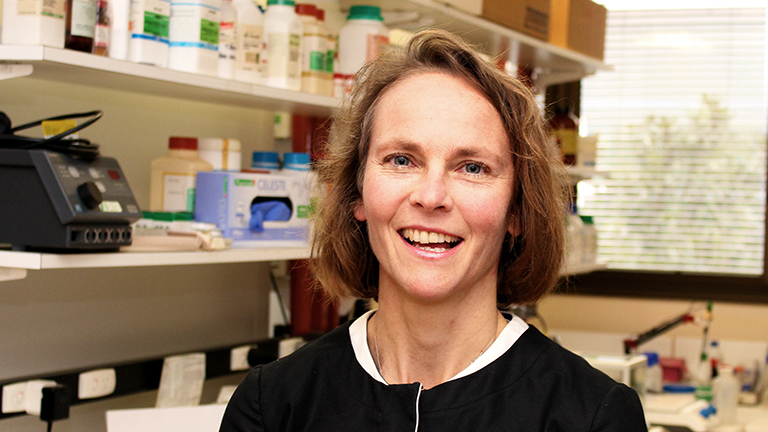 Her PhD (Monash) examined innate immunity in Type 2 diabetes and subsequent postdoctoral work at the Walter and Eliza Hall focused on the function of macrophages with high fat diet. Her recent research is in the area of clinical development of both novel and old drugs for a variety of diseases and has developed a collaboration with Leiden University using clinical pharmacological methods generally to improve dosing, with EKUT (Germany) in the combined role of therapeutic drug monitoring (TDM) and pharmacogenetics to individualise choice and dose of chemotherapy, and with the National Institutes of Health in identifying and managing synthetic drugs of abuse. Her current PhD students are researching cannabinoid therapies, more appropriate use of targeted cancer therapies, dosing in neonates and therapeutic drug monitoring in clinical care including with antimicrobial therapies. Professor Martin is passionate about teaching in the area of clinical pharmacology and been involved in curriculum development for medical students (Otago, Monash, Queensland and Melbourne Universities) was the recent teaching and learning representative on the STC in clinical pharmacology for the College of Physicians (RACP). She is currently a member of the RACP Policy and Advocacy Committee, the Council of the Australasian Society for Clinical and Experimental Pharmacology and Therapeutics, and a member of the Pharmacology and Therapeutics Advisory Committee of PHARMAC, the sole purchaser for pharmaceuticals in New Zealand.